Although I’m a much bigger fan of small luxury cruise ships, I decided to give the large-scale Royal Princess a try. What did I think about the experience? Read my complete review by clicking on Cruising on Royal Princess. One of the best things about cruising is the many activities offered onboard and the Royal Princess certainly didn’t disappoint. Check out my itinerary by clicking on Royal Princess Cruise Itinerary. I really think that Ephesus is one of the best antiquities sites I’ve ever explored. 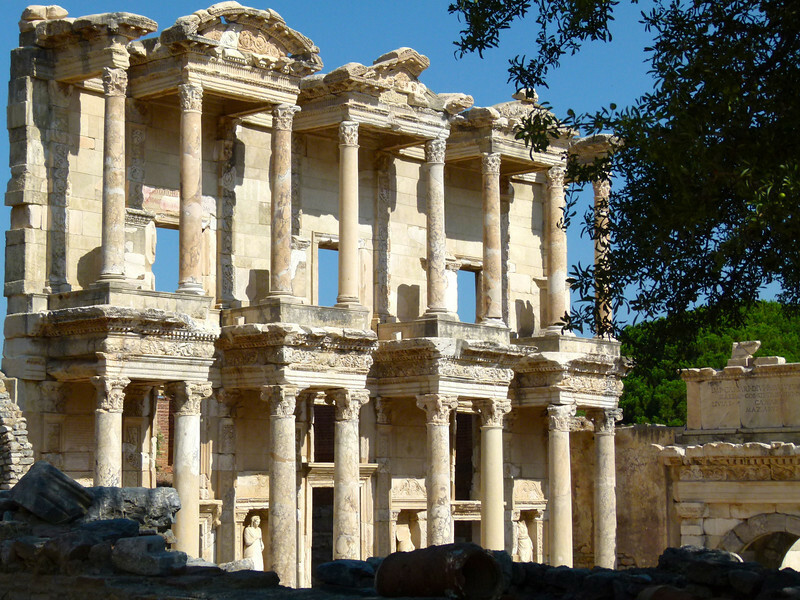 Read why by clicking on Exploring Ephesus on a Royal Princess Cruise Excursion. Although it’s controversial, sailing through Venice’s Grand Canal definitely leaves a lasting travel impression. Read my thoughts by clicking on Saturday’s Scene: Leaving Venice. Istanbul has to be the most visually striking city on the earth. And of course, the beautiful ceilings of the mosques are simply breathtaking. Click on Saturday’s Scene: Looking up in Istanbul to learn more. The Hagia Sophia is one of Istanbul’s many gems. Walking inside this historic building is like walking back through centuries of history. Read more about my experience by clicking on Saturday’s Scene: Cultures Collide in Istanbul. 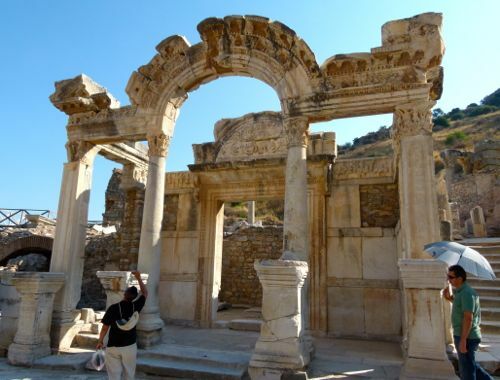 Visiting Ephesus is a must for anyone who loves history and the Library of Celsus, constructed between 110 and 135 A.D. by Julius Aquilla, is a fascinating stop on the way. Click on: Saturday’s scene: Going to the Library to read more about our experience.